MESA, Ariz. (June 21, 2013)– An Arizona based start-up is on a mission to change the way American consumer’s drive… and the way that business market to them. This year, GOe3 broke ground on a project to install a 1000-unit Electric Highway, powered by Eaton, which will make fuel-free coast-to-coast travel a reality for all EV drivers. Home to branches of I-10, I-8, and I-40, Arizona was selected as a key hub for the project’s initiation. Efficiency: Offering a Level 3/2 combination unit which includes a Level 3 DC fast charger and a Level 2 (70 amp) charger, these stations can charge an electric vehicle in aslittle as 20 minutes, getting road travelers back on the road quickly. Many currently installed electric charging stations provide only a Level 2 (30 amp) charging mechanism, requiring at least a few hours to charge an electric vehicle. 100% Chargeability: While most Level 3 fast chargers will only charge up to a maximum of 80%, GOe3 Charging Stations offer the option to “top-off” to a 100% charge. EV drivers can expect to pay up to $6 to fully charge a Nissan Leaf. Compatibility: Many current EV Charging Stations can only support certain electric vehicle brands or plugs. GOe3 Charging Stations are designed to adapt with evolving EV technology. Profitability: Designed around aunique and systematic marketing engine, GOe3 Charging Stations present profit opportunities for host locations (with no fees to install), surrounding businesses, and GOe3, ensuring a sustainable business model. Quick Installation: Thanks to its unique and compact design, GOe3 Charging Stations require no architectural/building permits from the city (only electrical permits), speeding up the process of securing locations and installing units. “As EVs are becoming more affordable to the general public, this is the ideal time to help build the infrastructure to support range confidence,” said Bruce Brimacombe, CEO of GOe3. But the EV Highway is just the beginning. Made possible by the inclusion of a network of interactive, wi-fi enabled monitors affixed to every GOe³ EV Fast Charge Station, the company is planning the launch of an elaborate marketing engine, fed by visitors to its EV Highway pit stops. In partnership with a universal savings card technology, GOe3 will be tracking the buying habits of American consumers, and using this information to funnel only the most appropriate advertisements and savings coupons from businesses and products that truly meet the needs of each individual. 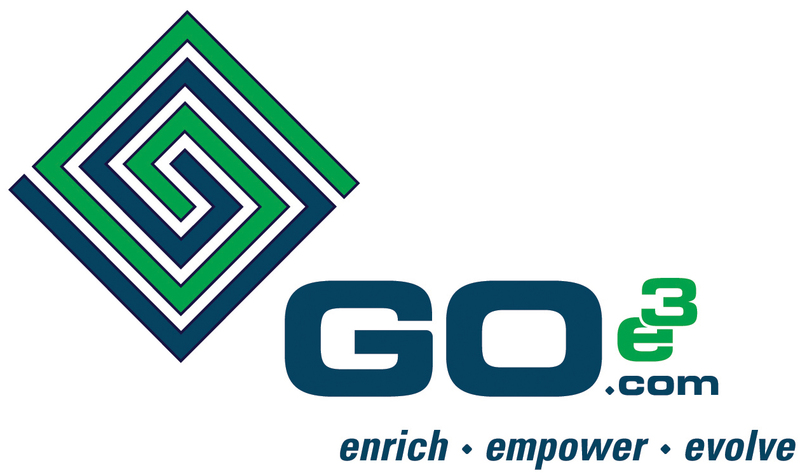 Focused on educating the public while the infrastructure is installed, GOe3’s next launch is a documentary film and reality television show that will involve and inform Americans on the future viability of Electric Vehicles.